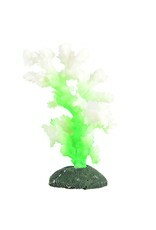 Aquaria Glowing Coral - Green - Rick's Pet Stores Inc. The only coral to blend in perfectly with other corals yet stand out as your fish roam the night is the Underwater Treasures Glowing Coral. Watch as its soft light glows in the dark creating a super cool aquatic environment for you and your fish. 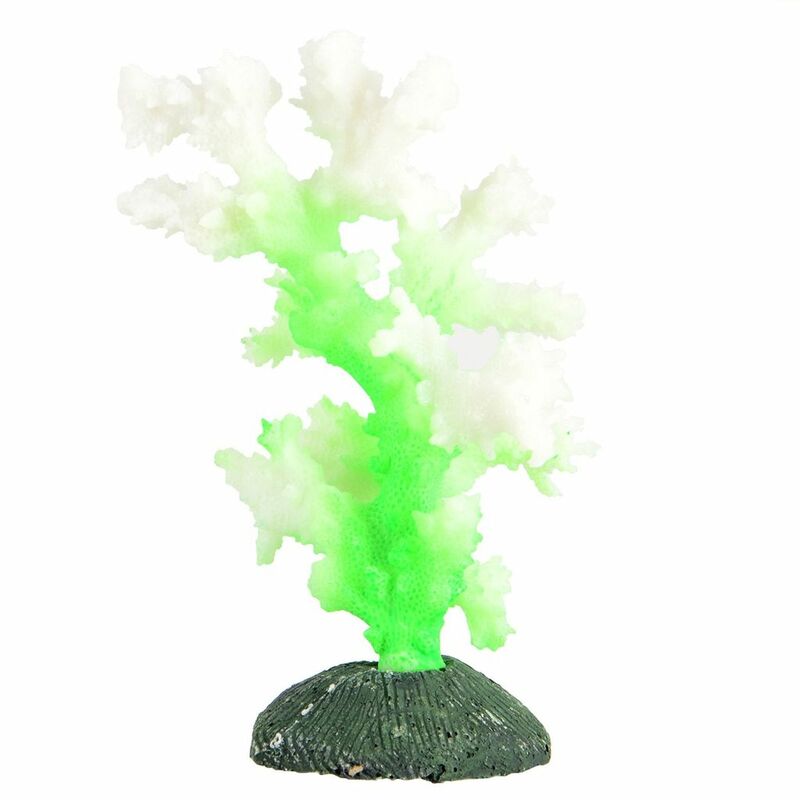 This ornament will also glow underneath actinic lighting; demonstrating a super cool night effect and daytime effect. It is safe for all fish in both freshwater and saltwater aquariums. 3.25" x 3.5" x 5.75"